Last month, I traveled all the way to Pangasinan to attend a presscon held by Bayambang Mayor Cezar Quiambao. And honestly, It wasnt just my first time to be in Bayambang--it was also the first time I've ever heard of the place. 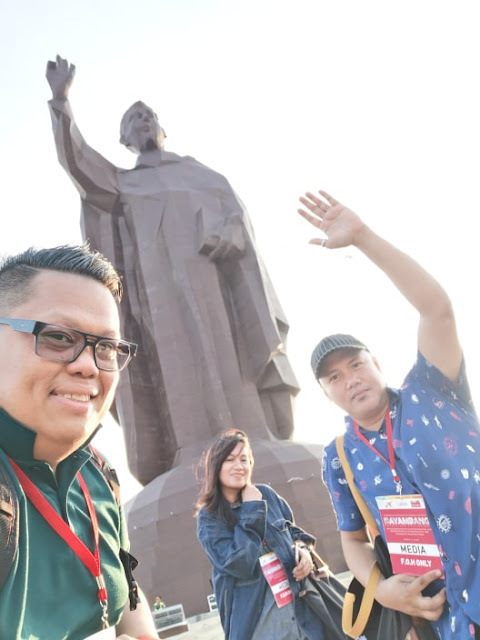 At the presscon Mayor Quiambao, together with his wife former actress Nina Jose, announced that they were aiming to set another Guiness World Record, which if successful was going to be the province's second one in five years. It was going to be the highlight of their Pistay Baley or town fiesta. I had just shared a few of photos of Bayambang on my Facebook page LemonGreenTea, when I got a message from a former officemate. 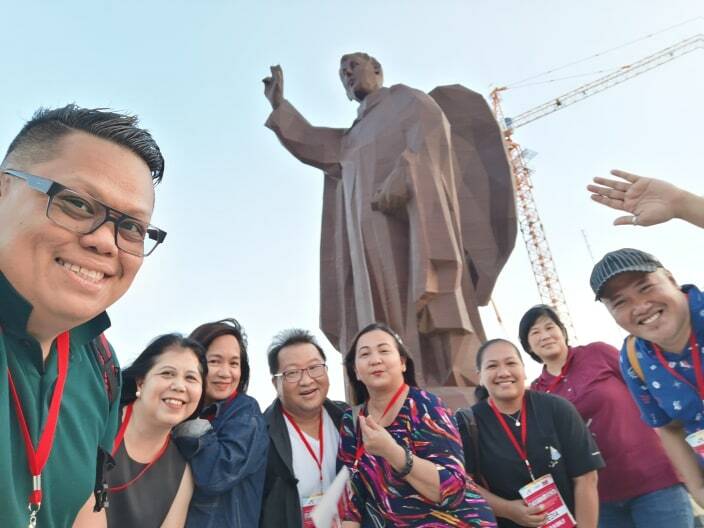 He said he was a resident of Bayambang, and that they were all excited and proud of how their town was slowly gaining recognition as part of Pangasinan because of the Guiness Records attempt and the St Vincent Ferrer Sculpture and Park. But more than that he said they were proud of the progress that is happening in Bayambang in the last few years. Before he told me that qoing home was difficult and dangerous because of the rough roads and unlit street post. That was why he could only go home twice a month to visit his parents and siblings. He chose to rather stay in Manila during weekends than travel all the way to Bayambang because it was so stressful. But when Mayor Cezar Quiambao took office, the roads and infrastructure began to improve and life became much better for his fellow Bayambanguenos. In fact, he even decided to stay and start a family of his own in. Bayambang. 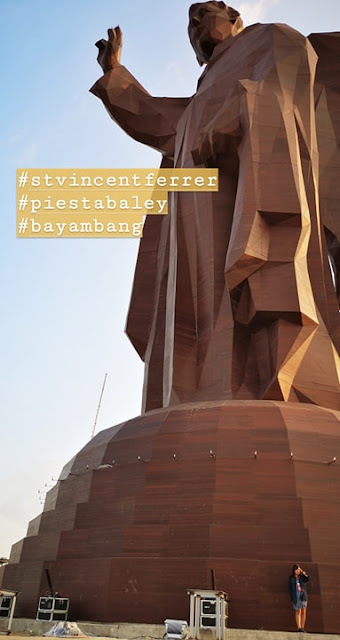 Hearing stories like that made me even more excited when we came back to Bayambang last week to witness the unveiling of the St. Vincent Ferrer Statue and if it would set a new world record. Mayor Cezar Quiambao, his wife Mrs.Nina Jose Quiambao and family, Swapnil Dangarikar, Guiness World Record Adjudicator, Congresswoman Baby Arenas and counselors, and selected media attended the festivities, and together with thousands of cheering Bayambanguenos I was so happy to be part of the record setting event. Dangarikar, made the formal announcement that the 50.23-meter statue of this town’s patron saint, Vincent Ferrer was the world’s tallest bamboo statue (supported). 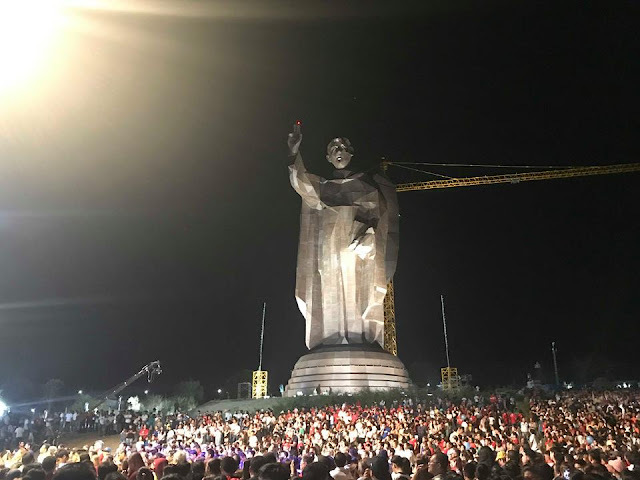 Dangarikar said Bayambang set a “first, unique record” because “this is the first time somebody has attempted to make a sculpture of this scale.” “We already saw the drawings before I came here so we knew it has support structure and is bamboo on the outside. The steel is OK but it has to be made completely of bamboo on the outside which I have checked. Also it has to be of a certain height to qualify for a record,” he told media. structure, but whats even more impressive was that the municipal government did not spend a single centavo for the project and that it was the Kasama Kita sa Barangay Foundation Inc. that funded it. 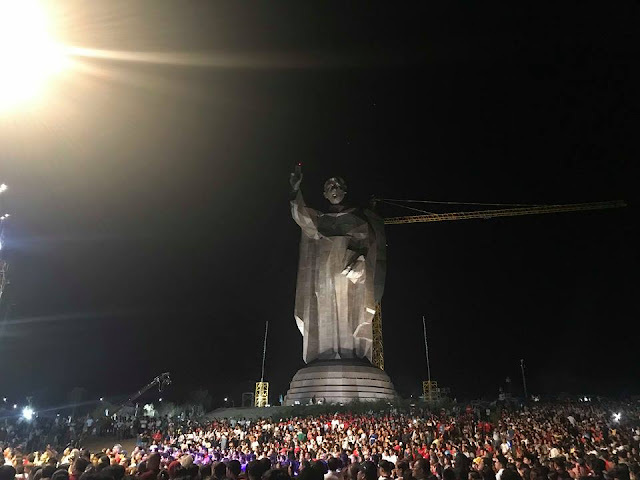 Currently the holder of the Guinness World Record for the longest barbecue grill that it garnered in April 2014, Bayambang successfully acquired another Guinness record, this time for the world’s tallest bamboo sculpture (supported) of a religious figure. 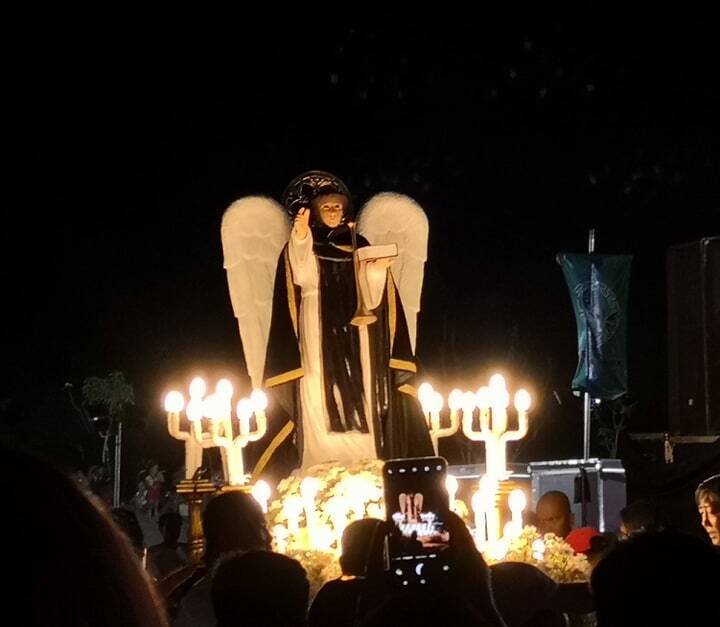 This year, Pista’y Baley focuses on the commemoration of the two milestones of the town’s parish, namely the 600th death anniversary and the quadricentennial (400th year) of the presence of the town’s patron saint, Saint Vincent Ferrer, in the municipality. Balon Bayambang (New Bayambang) hence prepares for a week filled with merriment and exuberance, April 5, 2019 being also the 405th Pista’y Baley and which will highlight the Jubilee celebration of St. Vincent Ferrer Parish Church. One of greatest miracle workers in the history of the Catholic Church, St. Vincent Ferrer (1350-1419) moved in the limelight before both ordinary and great people of the world. St. Vincent Ferrer, a Dominican priest, was born in Valencia, Spain on January 23, 1350 to Guillem Ferrer and Constancia Miquel who were both nobles. He entered the Dominican order at the age of 15 and was ordained priest in 1378. This Dominican preacher lived during one of the most turbulent periods in the history of the church, during the time of the Western Schism. St. Vincent preached not only in Spain and France but also in Italy, Germany, and Switzerland. St. Vincent Ferrer is the patron saint of builders because of his fame for "building up" and strengthening the Church: through his preaching, missionary work, and his teachings. All his life he felt that he was called to carry the gospel not only to Christians, but also the Jews, the Muslims, and some heretical sects. Some would consider it a conservative estimate that St. Vincent Ferrer converted 25,000 Jews and 8,000 Moors; his total number of conversions was around 200,000 souls, among them Moors, Jews, heretics, and apostate Catholics. Reputed to have received the gift of tongues, St. Vincent once converted 10,000 Jews at one time by marching right into their synagogue and preaching to them. Consequently, the Jews turned their synagogue into a Catholic Church. Saint Vincent Ferrer has been a beacon of faith in Bayambang for hundreds of years, and his presence has been incessantly felt by Bayambangueños through the Saint Vincent Ferrer Parish Church. He remains to be a symbol of devotion for the people of Bayambang, and the influence that he has had on the local culture is undeniable. Many devotees of St. Vincent Ferrer believe that it is their revered patron who perpetually saves them from the onslaught of natural calamities. Historical archives have it that near Palma of Majorca, St. Vincent Ferrer stilled a storm in order to preach from a wharf. At Beziers he stopped a flood. 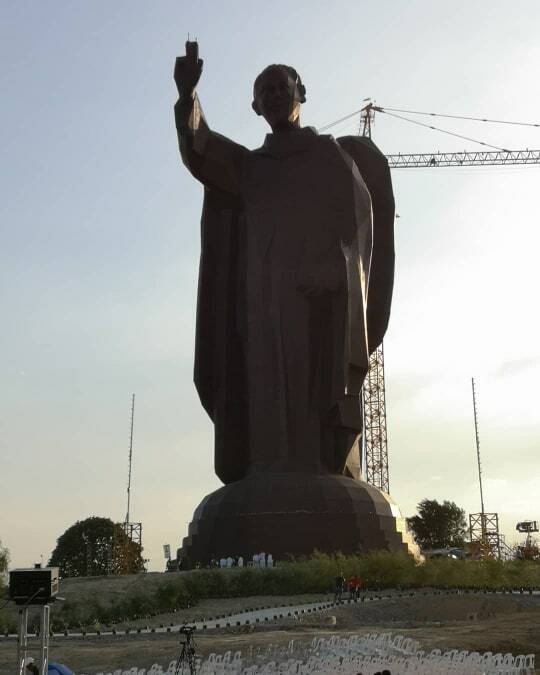 And Bayambang, which he oversees as the patron saint, was saved on several occasions from natural calamities. This is why the church, with the assistance of Mayor Cezar T. Quiambao, his wife, Mary Clare Judith Phyllis Jose-Quiambao, and several private firms spearheaded the construction of the Saint Vincent Ferrer Prayer Park in the heart of the town of Bayambang which is politically subdivided into 77 barangays, 11 of which are urban barangays and 66 are rural barangays. The park will serve as a place of serenity, not just for Bayambangueños, but for anyone seeking spiritual help and guidance. Towering over the central district of Bayambang is the Church of the Saint Vincent Ferrer Parish – an imposingly grandiose and historical edifice where the municipality’s patron saint, St. Vincent Ferrer, is enshrined. The church, built in the early 17th century, is a combination of achievements in Spanish and Filipino art and architecture, craftsmanship, and engineering. Due to the damages brought about by the elements and natural calamities, the church has undergone some repairs and structural changes from the time it was built to the present. 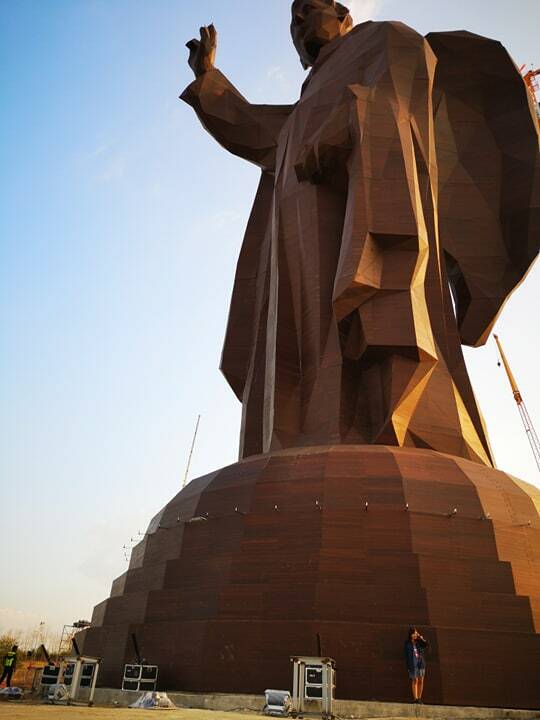 Bayambang is also most fortunate and privileged to have a remnant of the saint in its possession. In a chalice strategically installed at the center of the Prayer Room of the parish can be found a relic of Saint Vincent Ferrer. While deep in prayer to feel as though the saint is there with them, devotees can glance at the relic as they search for something deeper within themselves and feel a comforting presence that guides their souls. Standing at 50.23 meters high, this monumental structure made of steel and engineered bamboo currently holds the Guinness World Record for the Tallest Bamboo Sculpture (Supported) of Saint Vincent Ferrer, making it a valuable tourist spot in Pangasinan and Northern Luzon. 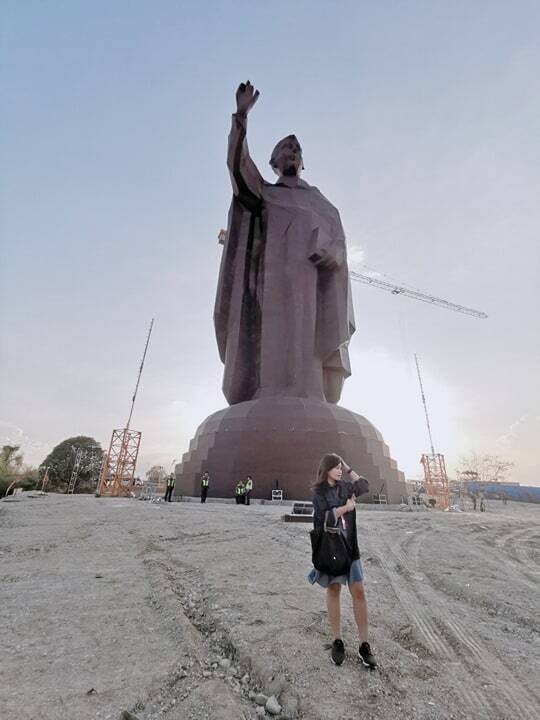 Tourists and visitors will look up in astonishment as they gaze upon the height of the image as a symbol of the Bayambangueños’ faith and devotion to the patron saint of builders. 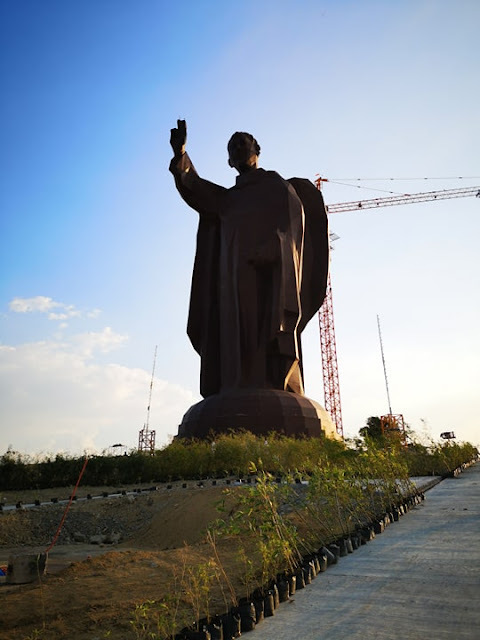 A chapel will be situated just beside the statue to serve as a place of meditation where devotees can find peace and serenity during their visit. The chapel is added to the master plan because, despite the expected influx of tourists, there needs to be a solemn spot where they can pray and reflect. At the center of the rotunda will be a fountain, a calming presence to welcome visitors to the Prayer Park. The water element is added to the park because of the weight of its importance to Catholicism. For Catholics, water is a symbol for purification and cleansing. This is why Catholics dip their fingers in holy water before attending a holy mass and why water is poured over a baby’s head during baptism. This element adds to the overall solemnity and tranquility of the Saint Vincent Ferrer Prayer Park. Like any other religious spaces, an area where devotees can light candles is important to have. At the Saint Vincent Ferrer Prayer Park, the candle-lighting area is situated just at the back of the 50.23-meter high structure. It will be a spot where devotees can pray for the illumination of their minds and souls, and as the light from the candle keeps glowing, the faith of the devotees keeps on burning. 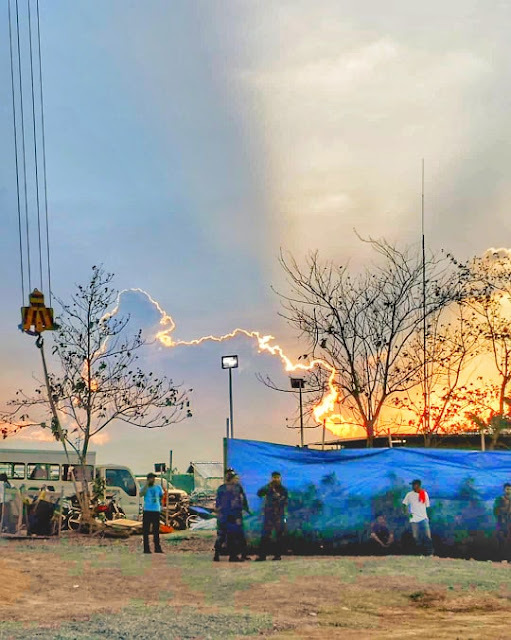 Situated near the chapel and candle-lighting area are the stalls that will be erected to provide a venue where devotees can buy their food, candles, or souvenirs. Because the park is expected to attract many tourists from all around the Philippines and even the world, Bayambangueños would like to showcase what else the town has to offer by marketing the different delicacies and products that are proudly made in Bayambang. Aside from marketing the prides of the town, this will also give the locals a great source of revenue, which is one of the major goals of the project. 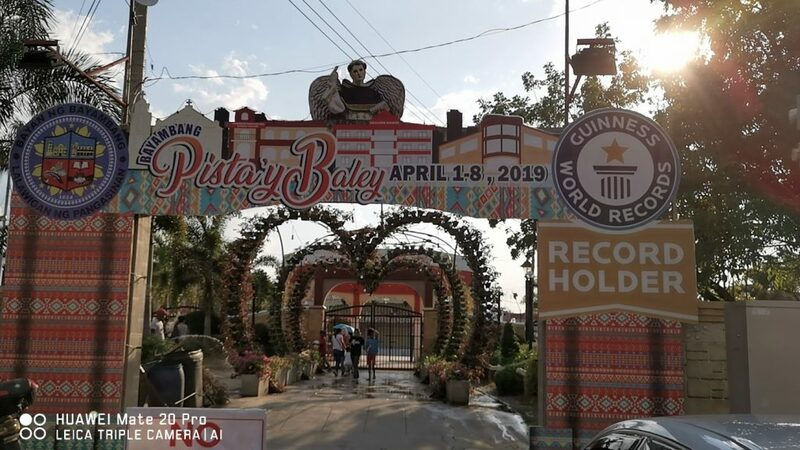 Bannering the theme “Bayang Pinagtibay ng Pananampalataya at Pagkakaisa Laban sa Kahirapan,” the municipality of Bayambang in Pangasinan celebrates Pista’y Baley from April 1 to 8, 2019. Pista’y Baley, the Pangasinan term for pistang bayan or town fiesta, is one of the grandest and most revered celebrations of Bayambang in the third district of the vote-rich province of Pangasinan. It is the annual moment when the people of all 77 barangays of the town come together in witness and a salient part of a series of revelries where their unity and camaraderie are manifested. Year after year, Pista’y Baley attracts hordes of visitors from all over the country. 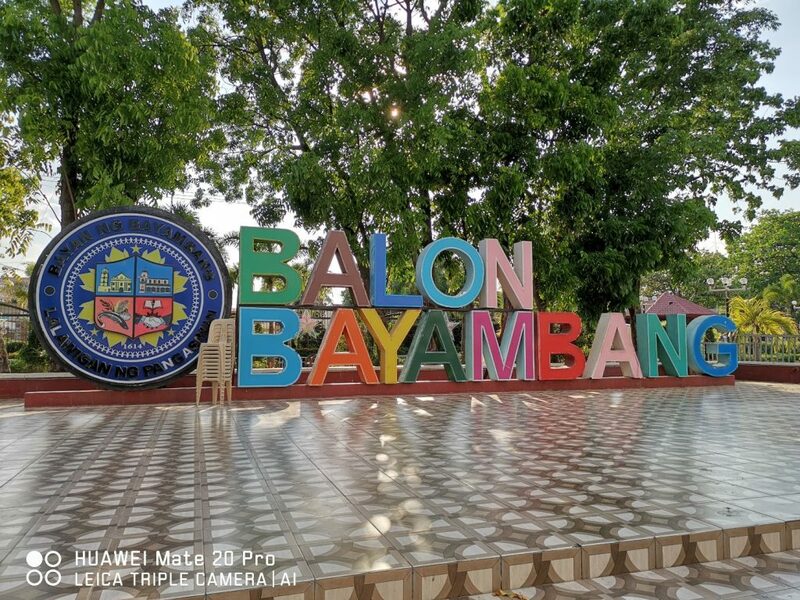 Family members of Bayambangueños from other provinces and foreign and local tourists visit Bayambang to enjoy the merriment that only Pista’y Baley offers.